Modern designed fully upholstered styling chair, ideal for any contemporary salon. 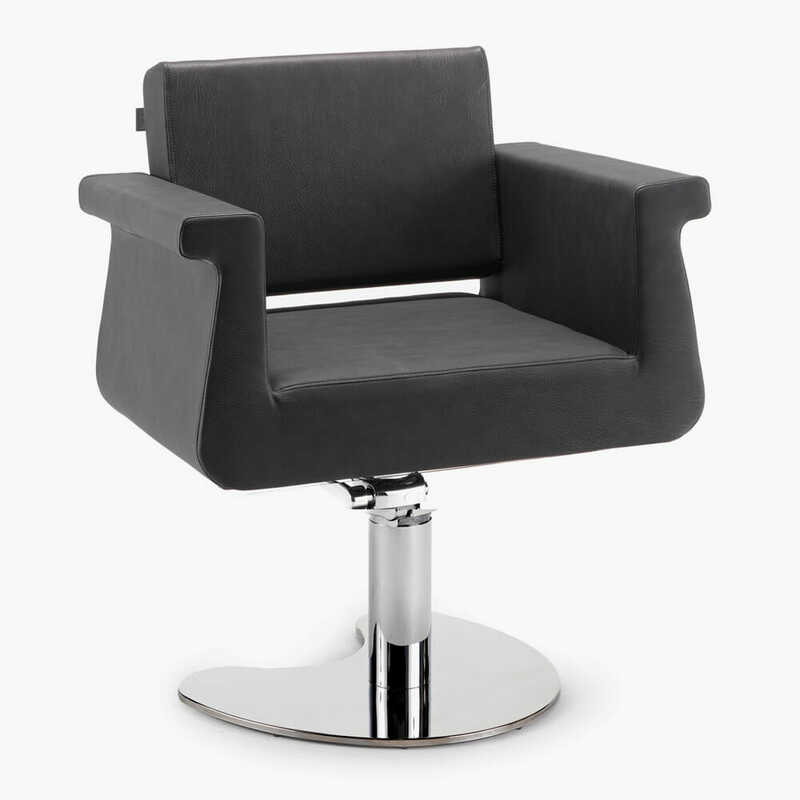 REM Peru Hydraulic Styling Chair. 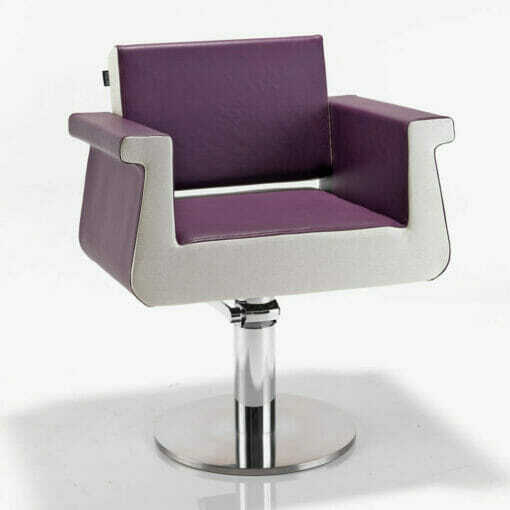 Modern designed fully upholstered styling chair, ideal for any contemporary salon. With a durable chrome plated hydraulic pump base. 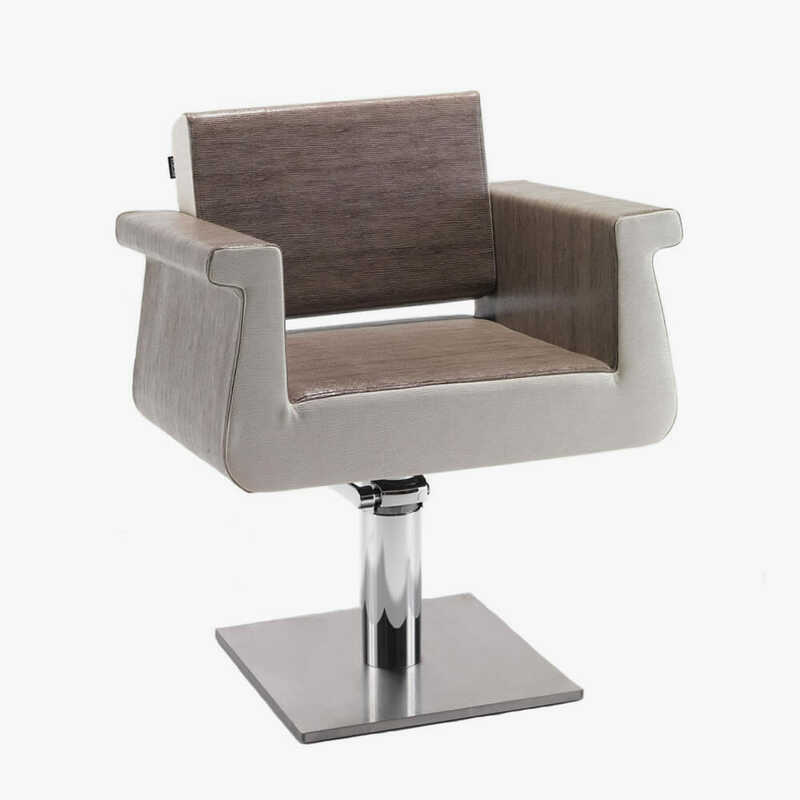 The REM Peru hydraulic styling chair can be made in any colour from the REM range. 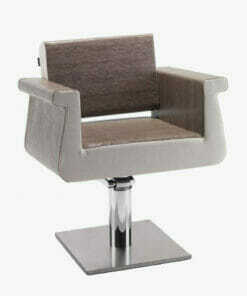 It is available in one solid colour or two tone colours. 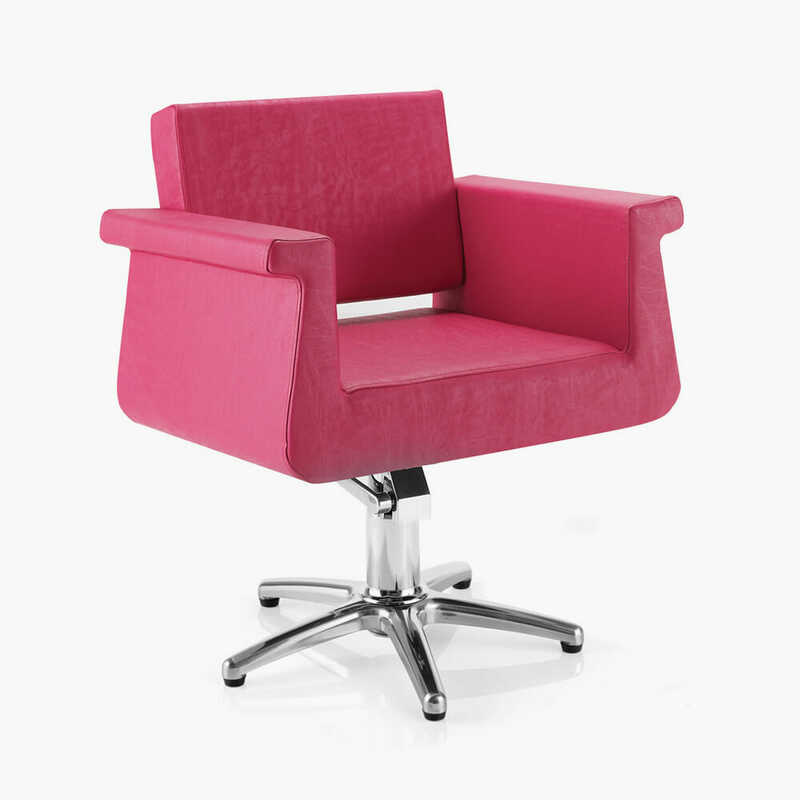 Please use the ‘Main Colour’ swatch guide for the chair top and sides and ‘Secondary Colour’ for the front section. The Peru comes on a 5 Star Base as standard. Also available on a Round or Square Base at an additional cost. 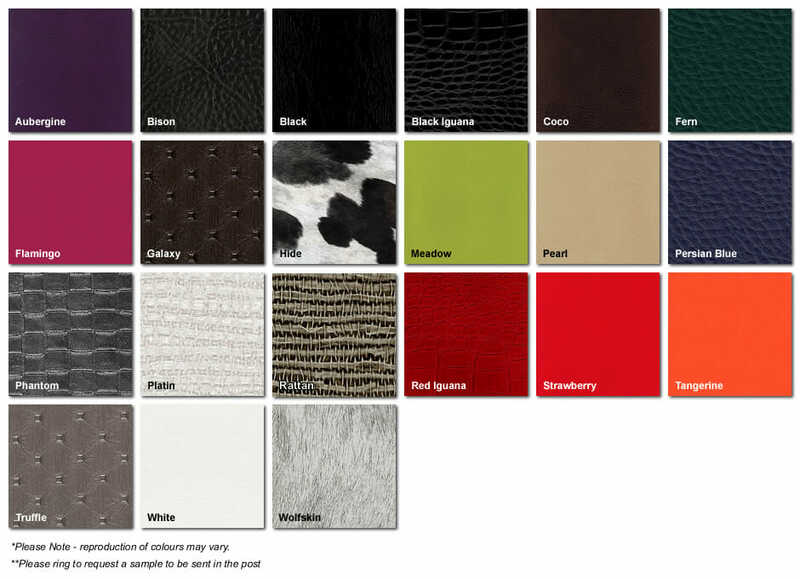 See below for larger images of the base and upholstery colour options. If you need any help please phone our office on 01270 630280. Where one of our team will be happy to help. Dimensions: Width 70cm, Height 50-61cm, Depth 55cm.